Black Sails is a prequel to Robert Louis Stevenson's Treasure Island featuring a mixture of real and fictional pirates as they fight, sail and hunt for Spanish gold. It first aired in January 2014 and a third season has been announced. Have you seen the show? If so, do you like it? 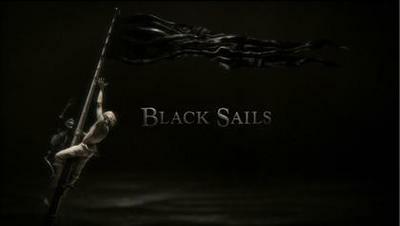 "Teaser Poster for Black Sails" by Source (WP:NFCC#4). Licensed under Fair use via Wikipedia. I've been watching the first season and I really like it. I haven't seen a pirate show like it before. They've obviously gone to some trouble about the historical accuracy (not with the story, but with details in the costumes and the sets, the ships look amazing). The storyline with Max is hard to watch though and would be triggering for a lot of women. I've been watching the first season and am quite enjoying it. Eagerly waiting for my partner to download a few more episodes for me! No, I have never seen it. To be honest, I have never been keen on Treasure Island, so I don't think I would be interested. No, I’m afried I’d never heard of it. Never heard of it. What channel is it on? Do you think it's unfair that women pay more for haircuts than men do?